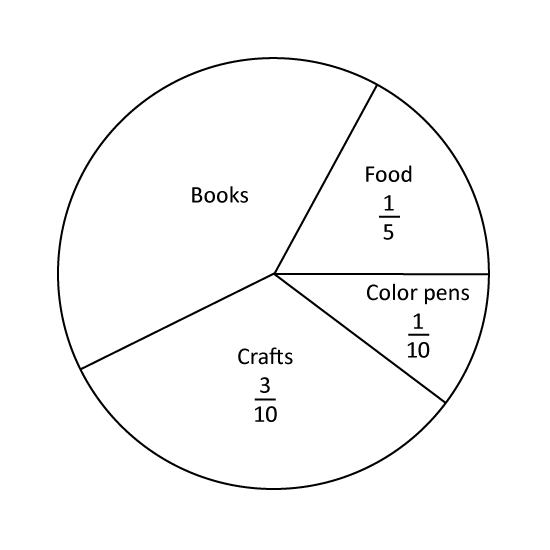 The pie chart shows how Jenny spent her pocket money last month. What is the ratio of the amount of money Jenny spent on crafts to the amount she spent on books? Sandy received $70 from his father each month for her allowance. The line graph shows the amount of allowance she spent each month. 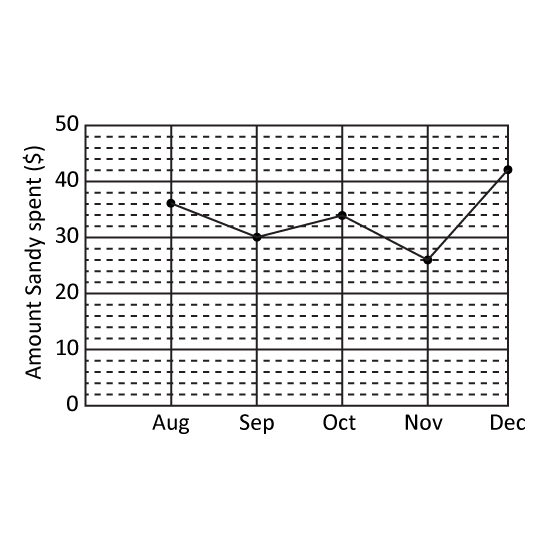 What is the difference between the amounts Sandy spent in October and in December? Sam saved $9 each day and Joelle saved $c more than Sam each day. After 2 weeks, they were still short of $30 to buy a TV set. How much did the TV set cost? Express your answer in terms of c.
If c = $2, how much did the TV set cost? Tom has $a. Randy has $2m more than Tom. Wayne has $3n less than Randy. Find the amount of money Wayne has in terms of x, m and n.
Find the total amount of money the three boys have in terms of x, m and n.
If a= 20, m = 7 and n = 8, how much does Wayne have? Margaret bought c kg of mangoes at $k per kg and w kg of papaya at $y per kg. Find the amount she paid for the fruits in terms of c, k, w and y. If c = 8, k = 7, w = 5 and y = 4, how much change did Mrs Lim receive if she paid the fruit seller with a $100 note? Mrs Jensen paid a total of $38 for 3n pens and 4 markers. Each pen cost $2. Express the cost of 1 marker in terms of n.
If n = 4, how much did each marker cost? 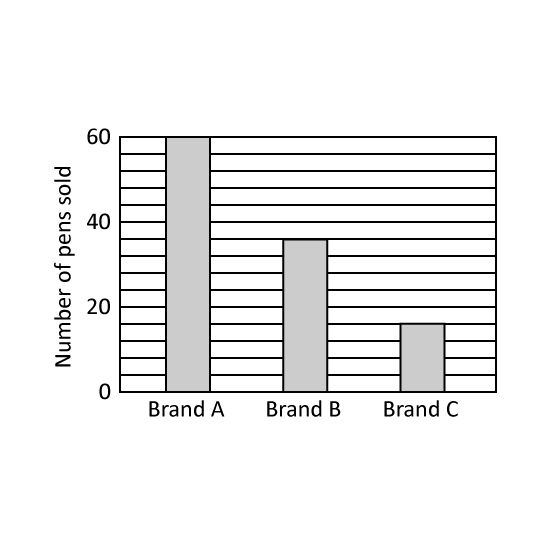 A shop sold three brands of pens: Brand A, Brand B and Brand C. The bar graph shows the number of pens sold for each brand in one day. How many pens were sold altogether? The shop collected $270 from selling the pens. The prices of Brand A, Brand B, and Brand C pens were in the ratio 1 : 2 : 3. How much money was collected from selling Brand B pens?